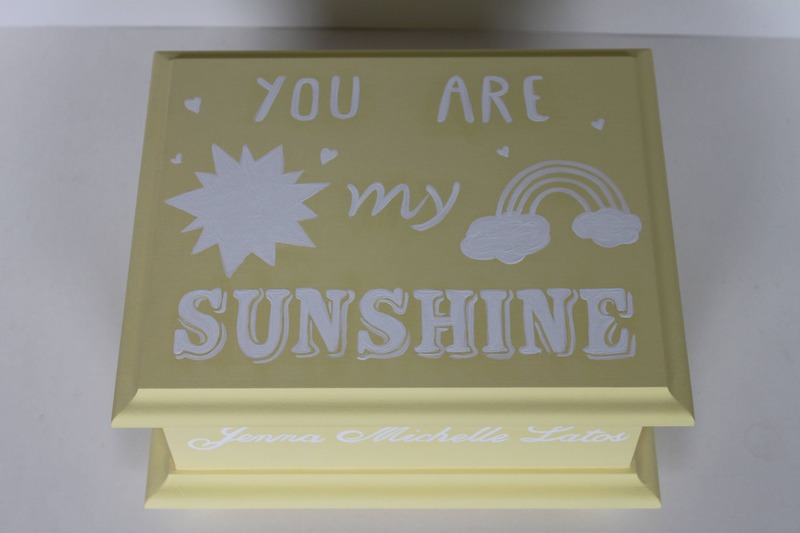 Made in the USA, this hand painted, poplar wood keepsake box is adorned with a You Are My Sunshine design and may be personalized with your child's name or 3 -letter monogram. The keepsake box includes a first tooth and lock of hair envelope on the inside lid and has a fabric liner in the bottom. Box measures 10" x 8" x 5.5" on outside and interior measures 8" x 6" x 3.25". Box is light gray with white lettering.